Let’s be honest: The day after the Thanksgiving feast might even be better than the actual day in terms of deliciousness. Let’s be honest: The day after the Thanksgiving feast might even be better than the actual day in terms of deliciousness. For a little more than your go-to cold turkey/cranberry/stuffing sandwich, try these 10 recipes from a comforting pho soup to a spicy jambalaya that will use up your leftovers and keep your favorite Thanksgiving flavors going far past The Big Day. Turkey Pot Pie for Another Day. 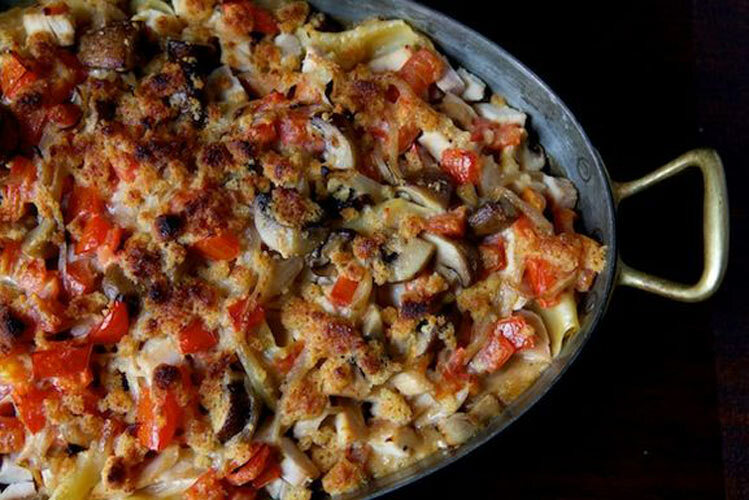 The perfect way to use up turkey leftovers—and to save them for another day. 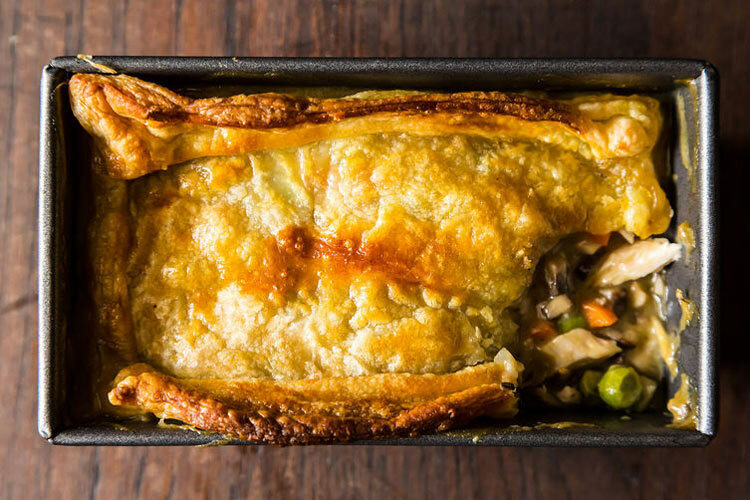 Simply simmer all of the goodness together on the stove, then transfer to a casserole, top with puff pastry, bake and devour. Get the recipe. 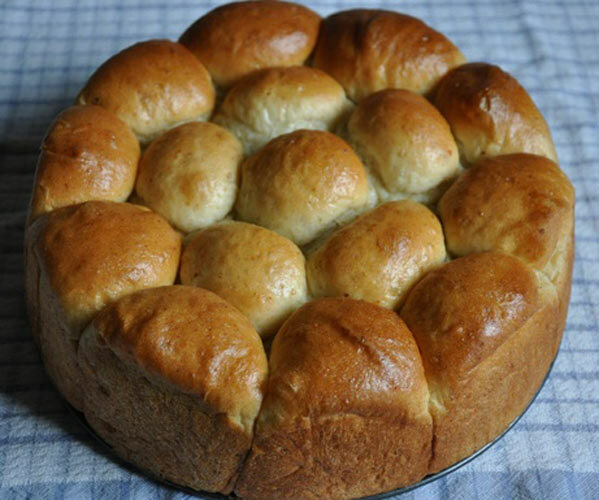 Sour Cream Dinner Rolls. A surprising home for your leftover mashed potatoes, a little patience in the kitchen will reward you with fluffy rolls that are complex and layered with flavor. Get the recipe. Thankful for Leftover Turkey Jambalaya. 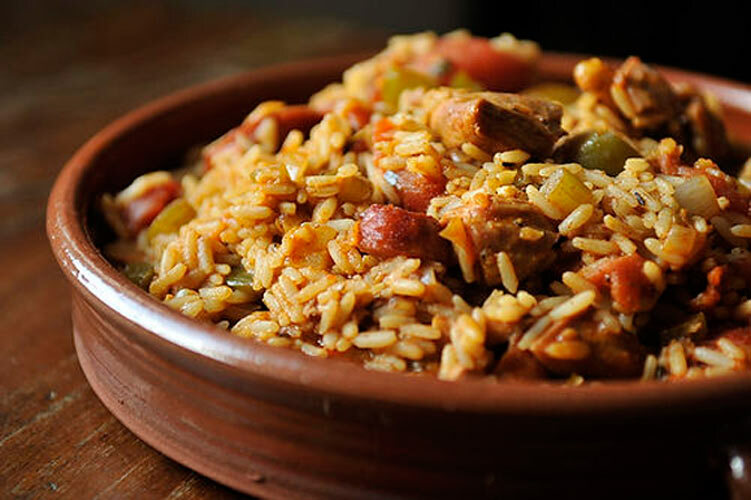 Don’t be put off by a jambalaya that calls for turkey instead of pork. Turkey’s gaminess compliments the andouille and holds its own against the cajun spices for Thanksgiving leftovers with a feisty kick. Get the recipe. 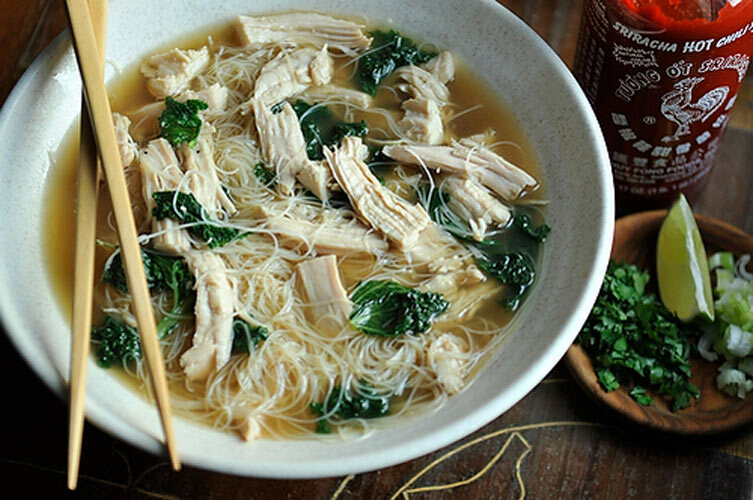 Turkey Pho. Leftover turkey combined with warm spices—coriander, cloves, star anise and cinnamon mean an amped up, comforting broth with just the right amount of heft. A squeeze of fresh lime juice at the end provides just the right hint of acid and wakes up the dish. Get the recipe. Turkey Tetrazzini. A classic creamy, cheesy savory recipe with soft noodles, mushrooms, and (of course) your leftover turkey. Get the recipe. Roy Finamore’s Sweet Potato Cornmeal Sandwich Loaf. 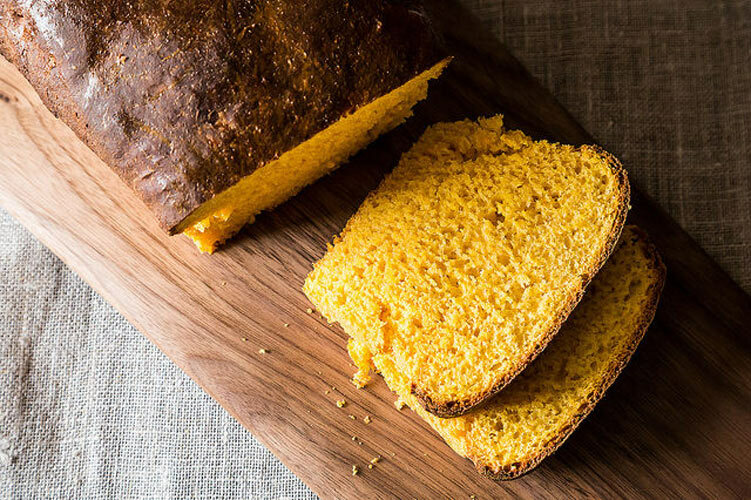 A orange-tinted sandwich bread that’s, soft, rich, comforting. Your leftover sweet potatoes just found their new home. Get the recipe. 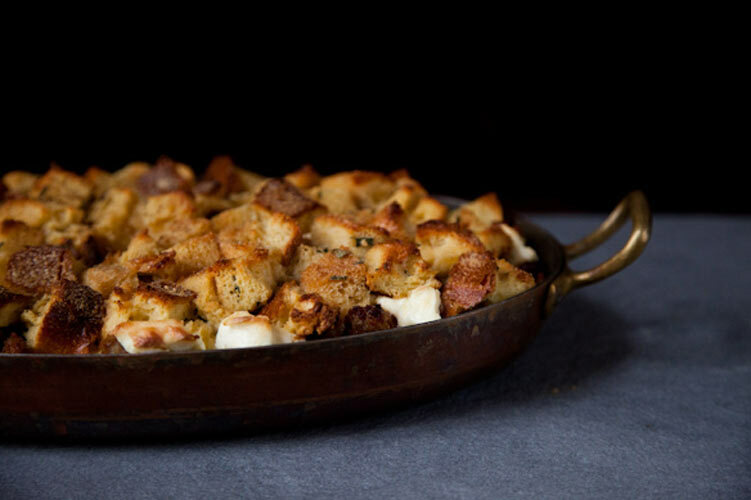 Don’t Hold the Anything Breakfast Bread Pudding. Don’t throw away that leftover bread! Repurpose it into a delicious, easy-to-make breakfast. This bread pudding is a balance of sweet and savory wrapped into one delicious, rich package. Get the recipe. Vegan Lentil Shepherd’s Pie with Parsnip and Potato Mash. 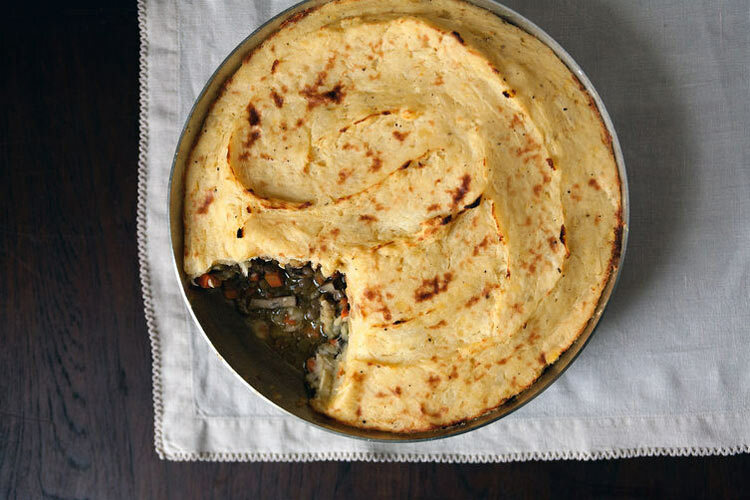 Stuff leftover mashed potatoes in this Shepherd’s pie that will please vegans and meat-eaters alike. Throw in your leftover vegetables into the filling while you’re at it—you’ll find that this Shepherd’s Pie is the dish that keeps on giving. Get the recipe. 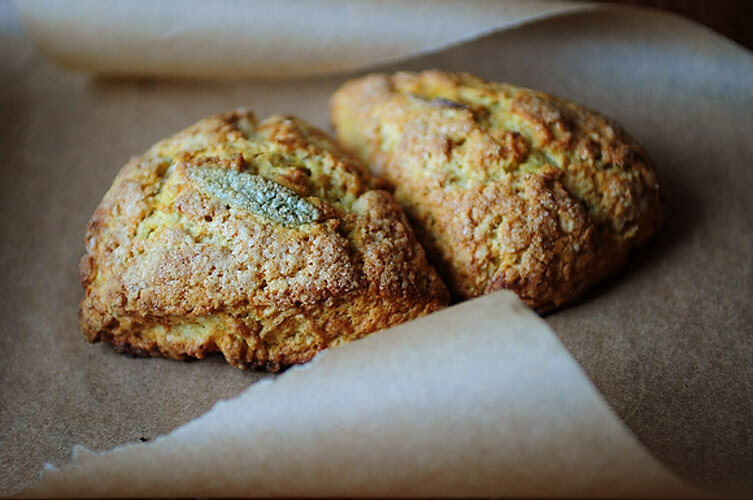 Butternut Sage Scones. These scones are the most delicious use imaginable for using up steamed or pureed butternut squash: they’re incredibly moist, stuffed with sage, and as sweet as you want them to be depending on if you opt for the cinnamon drizzle. Get the recipe. Roasted Carrot Soup. Leftover roasted vegetables easily transform into delicious pureed soups. 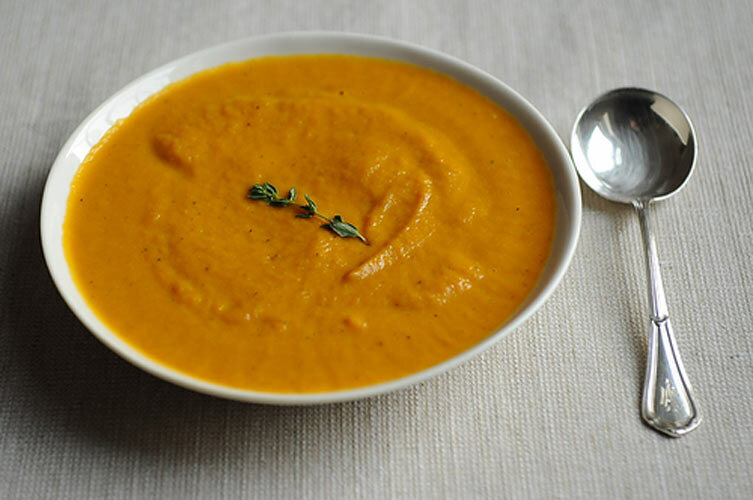 As a bonus, this carrot soup can be thrown together in 30 minutes and takes only 7 ingredients. Get the recipe.